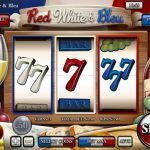 Red White & Blue is a 3 reel / 1 payline slot game developed by Rival. If you were living your life in fear and disappointed thinking that there is no slots game theming France then your worries are over. 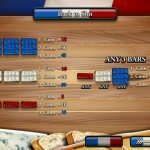 This game truly delivers the French experience! Well not really but still… nice try! There are no wild or scatter symbols so no bonus features here. What can we say…. 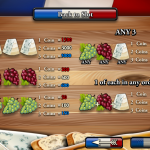 If you were expecting to get a true French experience then maybe you should look elsewhere. Rival made the absolute basic here. Some people like it but others, like us, don’t. If you’re a fan of classic 3 reel slots then you should consider playing Milk The Cash Cow a 3 reel slot by Rival.